This series focuses on the most memorable videogame moments of all time, but who says some of these self-proclaimed amazing moments aren’t unforgettable for all the wrong reasons? Just because something is “memorable” doesn’t necessarily mean it is any good. 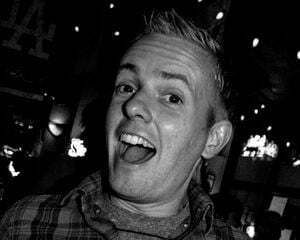 For as many beautifully moving sequences I have witnessed over the years that have brought me to the verge of tears, there have been an equal amount that have almost made me cry as well, although more from the pain of yanking all the hair out of my head. Not coincidentally, this being the notoriously numbered 13th installment of The Memory Card, I found it only appropriate to take the time to revisit one of the most unlucky and unfortunate creative decisions ever to rear its ugly head in a genuinely classic game. 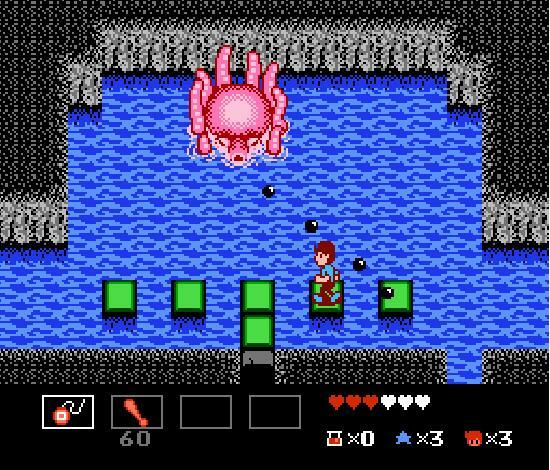 Continue reading to find out the real reason StarTropics for the Nintendo Entertainment System may not be coming soon to a Virtual Console near you. 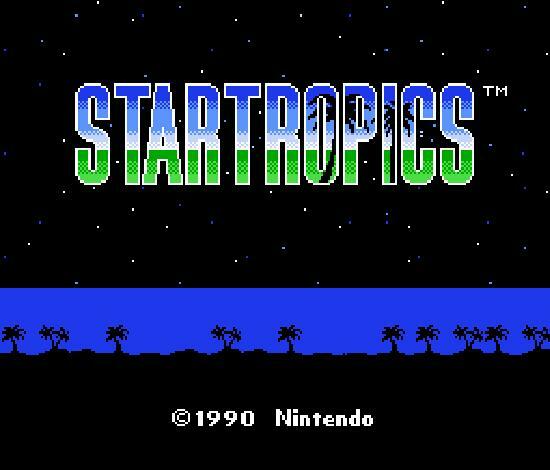 Don’t get me wrong, I am not dissing StarTropics as a game by any means. The NES classic is one of my favorite games from that era, offering a polished, fun, and very original experience. In the game, you play as Mike Jones, a star baseball pitcher who goes on a journey to C-Island to visit his uncle, the famous archaeologist Dr. Jones (hmmm, sound familiar? ), whom you find out right away has been abducted by a strange race of aliens. 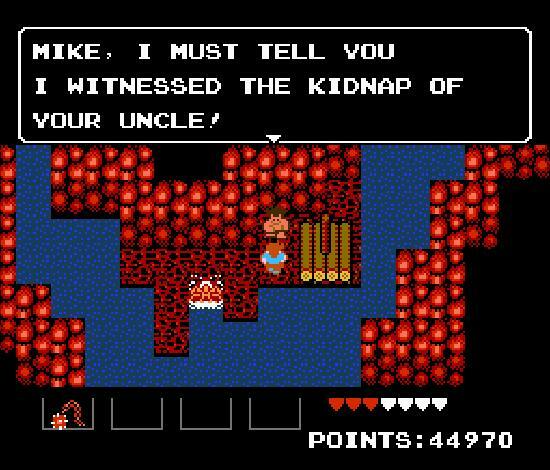 You, being the great nephew you are, must go on a surprisingly long and involved journey to rescue your uncle and solve the many mysteries of the surrounding areas. 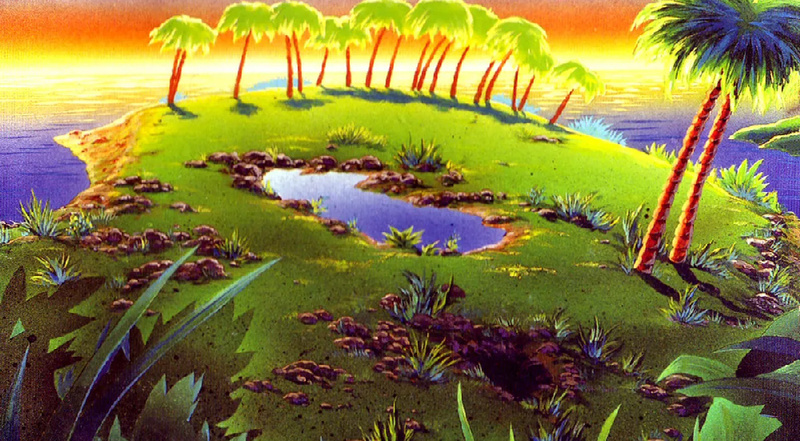 The game is played as kind of cross between Dragon Warrior and The Legend of Zelda. A bulk of the game finds your character in a giant overworld as you travel from town to town, talking to colorful NPCs, completing fetch quests, and discovering hidden items. The meat of the game, however, takes place in the numerous dungeons found throughout the many islands you explore. These dungeons are very reminiscent of the early Zelda games, even with how you use items and proceed from one room to the next (heck, you even have the same heart-based health meter). As the clever story presses on, you encounter numerous bosses, journey to many different tropical locations, and engage in really refreshing changes of pace (such as, my favorite, befriending a dolphin family who helps you navigate your submarine through dangerous coral). All of this is well and (very) good, but as you reach the midpoint of your quest, the game asks you to do something unlike anything you have ever done before. This strange act, while very memorable, gets the dubious distinction of being the first ever “not so amazing” entry into the hallowed halls of the Memory Card. For the record, this admittedly clever idea must have looked great on paper. In fact, if everything goes perfectly according to plan, this idea actually works very well, and only adds to the creativity and surprising nature of the game. At one point in the game, you and your submarine are swallowed by a giant whale. Inside the whale you meet up with Baboo, Dr. Jones’s assistant, a character you interacted with earlier in your quest. With the assistant’s help, you eventually figure out a way to make the whale sneeze (using your uncle’s missing lighter, of course), resulting in you, your sub, and Baboo being spit out onto a tiny, deserted island. With your submarine unable to function without a secret code, and, well, no secret codes to be found anywhere, all hope seems lost. Suddenly, Baboo randomly channels your missing uncle and spurts out: “Evil aliens from a distant planet ... tell my nephew to use Code 1776. 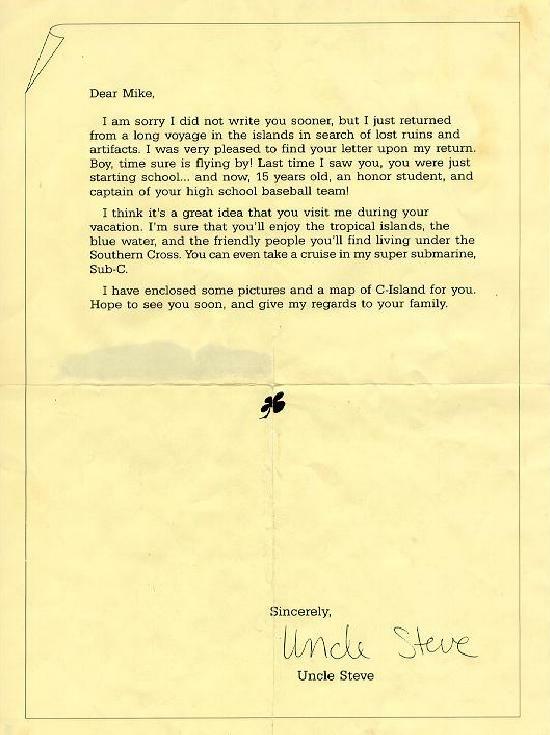 Tell Mike to dip my letter in water.” Um, okay? This is where the game takes a very strange twist. Instead of looking at an in-game letter in your inventory, you have to reach into the box you bought the game in and find an actual, physical letter that was packaged with the game. When you enter your sub, in hopes of escaping the island, you can enter the code 1776 (used to make the sub submerge), but then must enter an additional password to continue on. By no surprise, this password is “747,” which is only accessible by using the letter included in the game. Well, my friends, you would be right, had this particualr trick not been such a huge pain in the long run. Obviously this letter trick was embedded into the game to prevent people from borrowing, stealing, or copying StarTropics without actually buying it. But, unfortunately, more times than not, what could have been the most innovative fight against videogame piracy ever turns into a frustrating, anger-induced mess. You see, first of all, the letter is not as waterproof as you might think. Unless you add the perfect amount of water, the letter will either not display the secret code properly or, worse even, completely disintegrate in your hands. If those weren’t issues enough, come a few years later, when I wanted to play the game again, the letter I had awkwardly stored over time had completely dried and faded, the code completely unreadable. To make matters worse, once the letter is dipped in water once, it can never be submerged again. I don’t know the ins and outs of this scientific phenomenon, but you would think Nintendo would consider making this trick permanent, or at the very least long-lasting, just in case someone decided to play the game, I don’t know, more than a couple days later. Nowadays a trick like this might not be as big a deal since the Internet is so readily available for anyone who might need to look up the elusive code (so don’t let this hurdle prevent anyone from buying this amazing game used). But back in the day, when I don’t think my family even owned an answering machine, not being able to read (or remember) the code was a huge, glaring issue (one that resulted in me not being able to ever replay the game). At the time, breaking down the fourth wall between the game and player was a pretty revolutionary thing to do. What disappointed in this instance, though, was finding out something this innovative was just being used to masquerade a hidden agenda (namely, to make more money for the publisher). After all is said and done, I still love StarTropics. It is a great game that, fortunately, is not marred anymore by me having to perform the submerged letter trick (I have permanently burned the numbers “747” into my brain – take that, mega corporations). Although somewhat notorious, this is an unforgettable moment and, like it or not, one of the most memorable in videogame history.